Tha mi air a bhith air a h-uile rathad-iarainn ann an Alba a bhios a’ giùlan luchd-siubhail. Tha beagan rathaidean-iarainn ann a tha airson bathair a-mhàin, ge-tà agus chan ann tric a bhios cothrom aig daoine mar mì fhèin siubhal orra. Tha mi air a bhith air loidhne no dhà far nach eil ann ach trèanaichean bathair mar as àbhaist – Allamhaigh- Ceann Chàrdainn-Dùn Phàrlain agus meur-loidhne Hunterston mar eisimpleir. Airson a dhol orra, feumaidh tu a dhol air turasan rèile sònraichte, rud nach tachair idir tric. Tha turas rèile gu bhith aig Comann Glèidhteachas Rèile na h-Alba air an ath-mhìos a bhios a’ dol gu Lìte agus gu Millerhill ann an Dùn Èideann agus ’s mi a bhios a’ dol ann! Ach roimhe sin, bidh mi a’ dol gu Venice far am bi mi a’ dol air an trama annasach aca aig nach eil ach aon rèile, cho math ri bhith a’ feuchainn People Mover Venice agus Vaporetti ainmeil a’ bhaile. 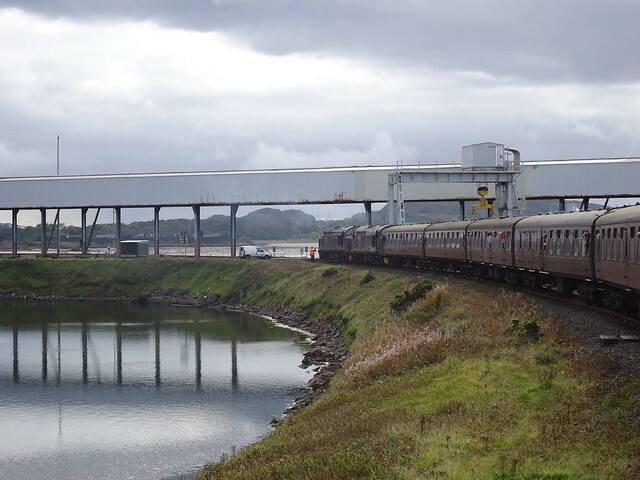 Chaidh seo a phostadh ann an rathaidean-iarainn, Rathaidean-iarainn neo-àbhaisteach, treanaichean, Uncategorized agus a thagadh Comann Glèidhteachais Rèile na h-Alba, railtours, Scottish Railway Preservation Society, SRPS, turas rèile, Tursan rèile. Dèan comharra-lìn dhen bhuan-cheangal.